The most emotionally agonizing and potentially expensive aspect for a parent going through divorce is child custody issues. If the parents cannot agree on their own, a Family Court judge is tasked with determining what is in your child/children’s best interest. Even otherwise good parents can lose primary custody of their children in a contested custody battle. However, if both spouses are fit to parent and can set aside their differences, both can have a part in maintaining a loving and relevant relationship with their child/children. In the ideal situation, a divorce does not result in either one parent or the other. Instead, it is continuation of both loving parents, just in a different manner than prior to separation. It can be done, but it will be tough. You just have to constantly remind yourself that your children are paying a price for something they had no control over. Always do your best to ease what they are enduring. Perhaps by helping them adjust, you can also heal in your new life. Child custody and visitation issues make up a dense body of law. Here, we provide a brief outline for your review. Given the complexities involved, we strongly suggest you sit down with one of our family lawyers to go over options and strategies. The family court has the power to decide issues of child custody and visitation when the parties cannot come to an agreement themselves. South Carolina has abolished the “tender years doctrine,” which gave preferential custody to the mother of the child. Today, neither parent has an automatic legal right to custody; instead, the court makes custody and visitation determinations based on the best interests of the child, which involves a number of factors, including who has been the historical primary caretaker, whether there has been any immoral conduct by either spouse that was detrimental to the child’s welfare, and the mental and physical health of all parties involved. There are two types of custody: legal and physical. Legal custody is the right to make major decisions that will affect the child’s life, for example choices in medical care and education. Physical custody, on the other hand, is who actually “possesses” the child (i.e. who the child lives with). 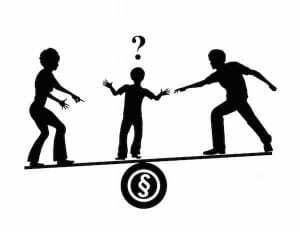 The court may award “sole,” “shared,” or “joint” custody; parents with joint legal custody must both participate in decisions affecting the child, but the child physically remains with one parent, while parents with joint physical custody divide time spent with the child. If the court grants joint custody, it will consider a number of factors, including the fitness of both parents; the parents’ ability to communicate and cooperate; the child’s preference (if he or she is of sufficient age); and the geographical proximity of both parents’ homes. This is where parents need to focus on what is really important here. It is a difficult goal, but all of the fighting should stop when it comes to making decisions for what is best for your children. It is not their fault that a marriage ends, but they will suffer greatly. Each parent should keep this fact in mind as they try to work with the other former spouse to raise their children. The marriage stops. Parenting is for life. Even where one parent is awarded “sole” custody, the other parent must be given reasonable visitation rights (absent extenuating circumstances such as a history of domestic violence or abuse). Noncustodial parents can be awarded visitation based upon an agreed-upon schedule or by using South Carolina’s default visitation regime (every other weekend, two to six weeks in the summer, and alternating holidays). Johns v. Johns, 309 S.C. 199 (1992). There is no legal presumption that mothers are the best custodians of young children. The “tender years” doctrine has been abolished. It is important to look to who has been historically the caretaker, but just because one parent has not been cooking for the children, does not mean that the parent can’t learn to cook or feed the children going forward. It is a very fact specific decision. For example, it would be unrealistic for one parent who travels out of state four nights a week to have the same amount of time with the children as a parent who works in town. It just won’t always be possible. But we must stress that you should speak with an experienced child custody attorney before agreeing to any specific schedule with your spouse. However, we encourage your best efforts in reaching an agreement, if possible. Once an Order for custody has been entered, it will be extremely difficult to reverse or modify. The standard for an initial determination of custody is no longer applicable. Instead, a parent must show that there has been a significant change in circumstances that has affected the child before the court will even consider making changes or whether changes might be appropriate. Relocations of one parent or the other are the most complicated and difficult situations for parents. It is important to speak to someone before you try to approach the other parent. Here in Fort Mill, Tega Cay, and Indian Land, you can consult and get answers to your questions from our experienced and compassionate family law attorneys. Our office is located here in Baxter Village right above the Grapevine Wine Bar on Market Street. For your convenience, we also have offices in Charlotte as many of our clients work there and might prefer to meet in private. We make ourselves available to you when you need us, even after regular office hours. You can reach attorney Cody J. Burgin directly on his mobile phone 803.203.1173 or Robert J. Reeves at 803.554.4157. Call us now and let’s discuss your options. You will sleep better after you know what to expect. Don’t worry. We can help.